Defined process validations as the collection and evaluation of data, from the process design stage throughout production, which establishes scientific evidence that a process is capable of consistently delivering quality products. Notice that these two statements are vastly different. So are the expectations. Process validation should not be viewed as a one-off event. … incorporates a lifecycle approach linking product and process development, validation of the commercial manufacturing process and maintenance of the process in a state of control during routine commercial production. It appears as through the expectation from the regulating bodies is that validation is no longer an event that is performed once, but rather a continuous process of monitoring and evaluation. This constant monitoring is referred to as Process Verification. 5.32. Ongoing process verification should be used throughout the product lifecycle to support the validated status of the product as documented in the Product Quality Review. Incremental changes over time should also be considered and the need for any additional actions, e.g. enhanced sampling, should be assessed. In closing; good process design, robust process qualification and ongoing process verification are necessary for future success. Principles of a lifecycle approach should be used to improve current processes. One cannot predict every failure; thus the need to continuously monitor the process and react accordingly should be a way of life. 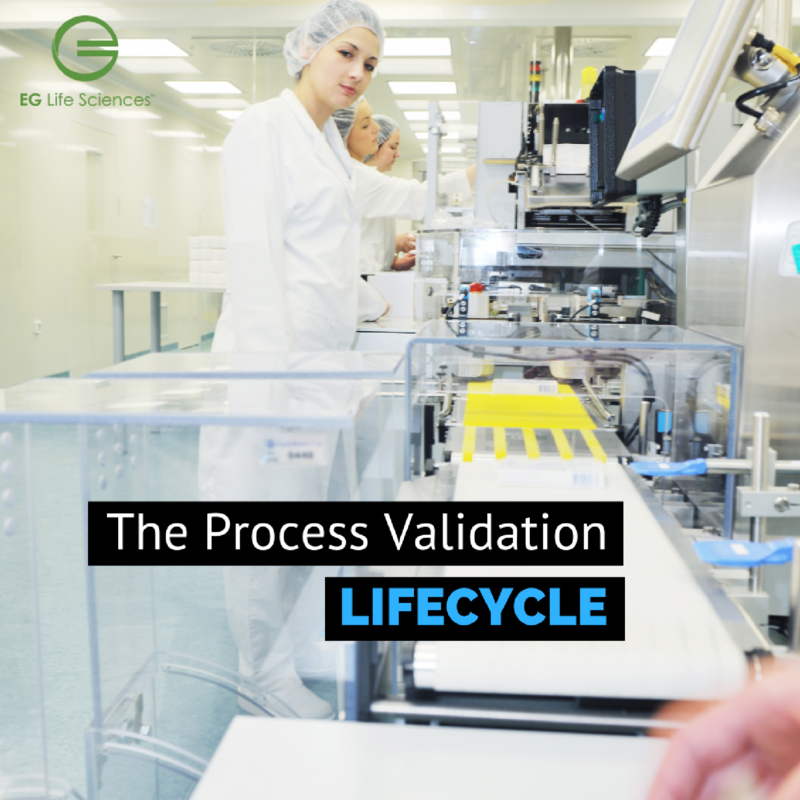 Is your organization using a lifecycle approach to process validation? Do you need some help in this area? If so, we'd be happy to discuss these challenges with you. Contact us at info@eglifesciences.com or at 888-925-6847.